The Tiger Who Came to Tea Four-in-One Games Cube is a box of delights! Featuring beautiful artwork from Judith Kerr’s classic children’s story, this little box is jam-packed with four traditional games to keep youngsters entertained for hours! Matching Bingo, Snap, Twisted Pairs and Four Shapes in a Row provide plenty of fun and challenges for two to four players. 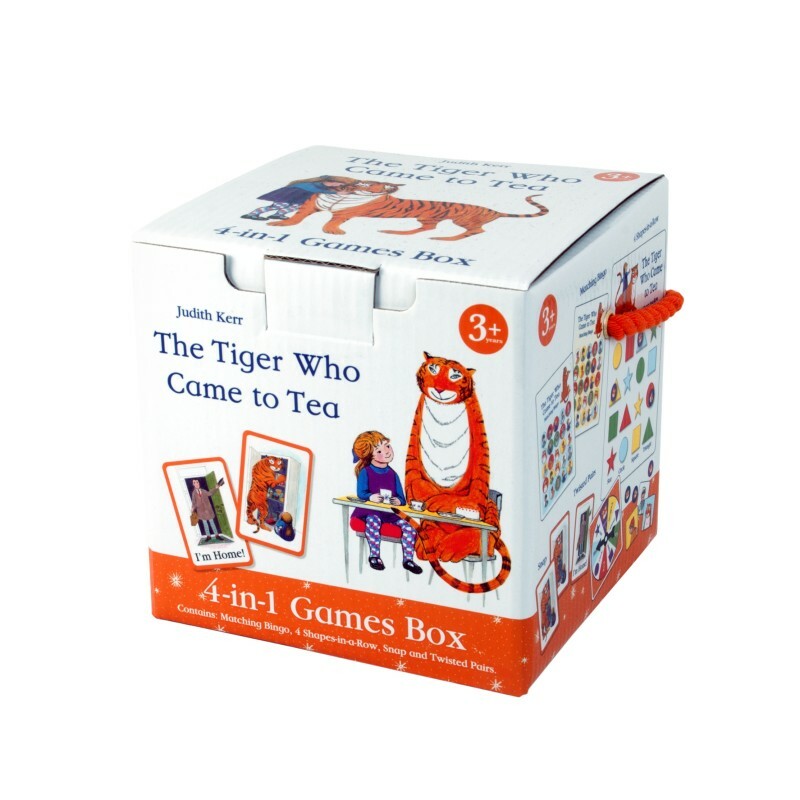 Measuring 135mm cubed, The Tiger Who Came to Tea Four-in-One Games Cube contains colourful and educational games that are just perfect for children aged 3 years and over.